Agriculture plays a central role in the history of Colorado. The families who've farmed and ranched in our state for over a century remind us that the story of our connection to this land continues to today. Through our Centennial Farms & Ranches program we recognize families like the Neallys, Karns, and Masons. Charles T. Neally and Lizzie Agnue Paul acquired land northeast of Burlington, Colorado under the Homestead Act of 1862, then built their home out of rocks and sod and planted hedge-apple trees to serve as fence posts. Today, one of these trees is thought to be one of the oldest trees in Kit Carson County. There's another tree with a Colorado story to tell. In 1886, 17-year-old Alzada Karn traveled from Ohio to Granada, Colorado to cure her tuberculosis. She married the Granada postmaster, who'd brought an angel wing begonia from Florida. Six generations later, the begonia still grows in the dining room at Rocking 7K Ranch, with several branches stretching through small holes in the ceiling to the second floor. 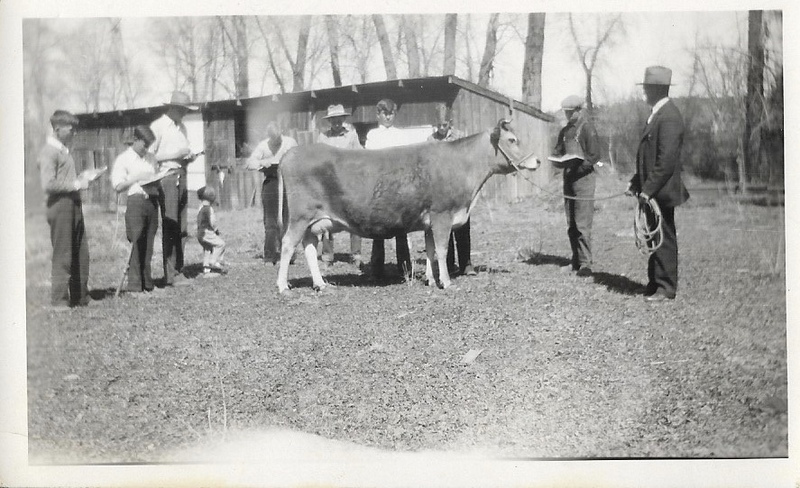 Farmers pose with a cow. Phot courtesy of Sunnyside Farms. Farming has long been a part of life in Colorado, but it's never been easy. When Annie Mason established Sunnyside Farm in La Plata County in 1900, she dug a mile-long ditch by hand to bring water in. Today her granddaughter Karen Zink continues to operate the largest certified organic farm in the county. The farms these families operate are just three of the 38 farms we recognized as Centennial Farms and Ranches last year. Our Centennial Farms & Ranches program, a partnership with the Colorado Department of Agriculture, honors the important role agriculture has played in our state's history and continues to play in our state’s economy and identity. Every year we recognize working farms and ranches that have remained in the same family continuously for 100 years or more. If the farm or ranch has four or more well-maintained structures that are at least 50 years old, they are also eligible for a Historic Structures Award. 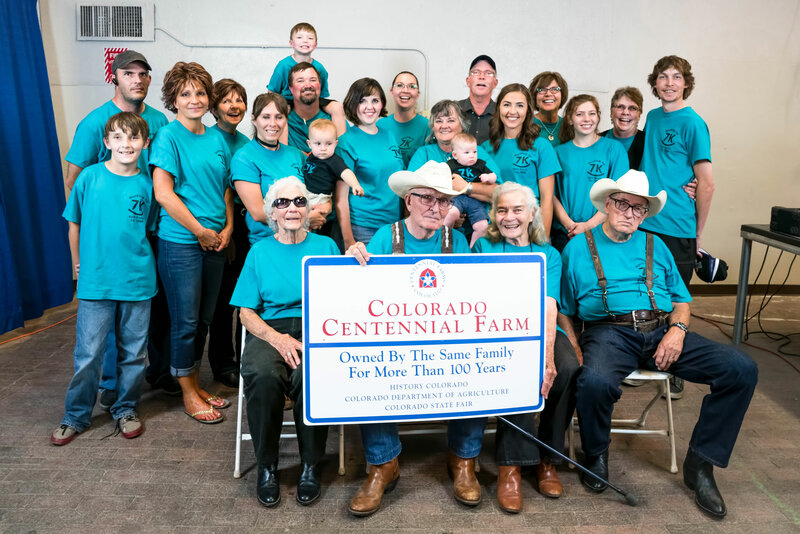 Families who receive recognition as a Centennial Farm or Ranch receive a metal sign to proudly display on their property and a certificate signed by Governor John Hickenlooper, Colorado Commissioner of Agriculture Don Brown, and Executive Director of History Colorado Steve W. Turner. This year we'll recognize 31 farms and ranches dating back as far as 1876 at the State Fair in Pueblo on Friday, August 24. The event will take place at 1:00 p.m. at the Weatherport Tent. The event is open to all State Fair attendees. You can learn more about the 550 past honorees here. Sign up to receive our monthly Preservation Newsletter!